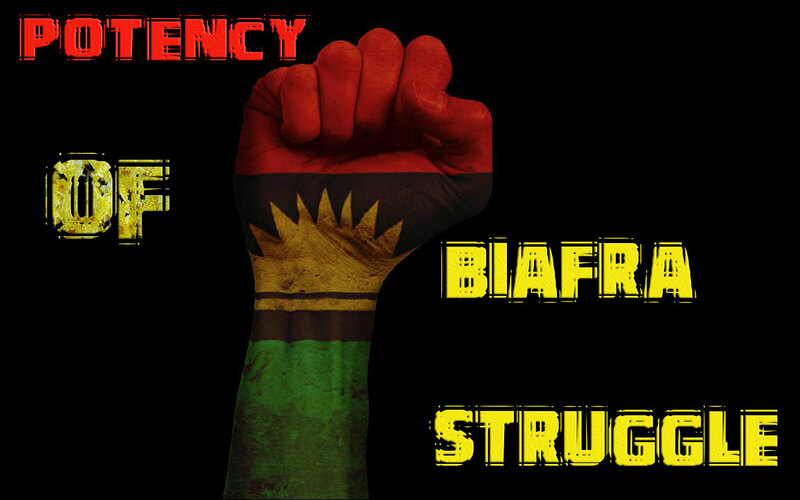 Home Biafra Featured Nigeria THE POTENCY OF NON-VIOLENCE TO SELF DETERMINATION STRUGGLE. THE POTENCY OF NON-VIOLENCE TO SELF DETERMINATION STRUGGLE. The non-violence approach to self-determination struggle is more potent than any lethal weapon. The beginning of such struggle always put many into a state of doubt. I remembered vividly when the voice of Radio Biafra London started echoing for the first time, many could not believe the voice more especially when the voice says he would toll the part of peace to achieve freedom for the people of Biafra. Many questions were asked, how could this be possible more especially in a zoo called Nigeria? Many were even mocking him (the voice at the Radio Biafra London Mazi Nnamdi Kanu) to return to Nigeria and do the broadcast if he was serious about what he was saying in Radio Biafra London. This shows that people of this generation are not students of history, because history has it that the potency of none violence to self-determination struggle has been at play for ages before now. There were noble men and women of past generation who tolled this part and today the world did not only recognise them but they are known today and always as heroes of freedom. King Martin Luther II of United States of America and Nelson Mandela of South Africa are a case study here. So, the voice from the Radio Biafra London did not only came back to Nigeria at the time but it cut the imagination of many when the young man (Mazi Nnamdi Kanu) announced the date of his coming home to lead the struggle. He even announced his hotel room to show Nigeria government how determined he was to restore Biafra through none violence approach. This young but intelligent leader was picked up by the men of Nigerian DSS, he was molested, brutalized, locked up and later charged for treason. This followed with series of protest from Biafrans more especially the youths. Nigeria as a zoo lacks the knowledge of non-violence to self-determination struggle which is why the approach of the Nigerian federal government towards the Biafra question was completely wrong as they resort in killing the unarmed youth who were only protesting against the illegal detention of their leader. Biafran Youths were killed in large numbers in the streets of Onitsha, Nkpo, Asaba, Igweocha, Aba, Umuahia and Enugu, as many were given life threatening injuries and others were arrested and detained. It was on this process that David Nwawusi, Chidiebere Onwudiwe, Bright Chimezie and Madubugwu were arrested and charged each for treason (though freed on bail now). I saw Nigerians celebrating injustice, killings of innocent Biafrans becomes a tradition in Nigeria while violation of court order and postponement of court dates becomes the norms and order of the day. The blood of innocent Biafrans flowed on the streets of Biafra almost on daily bases as IPOB body and members were mocked nationwide even among the so-called elites. IPOB members were called fools, miscreants, touts, jobless people and all sort of derogatory names though such is bound to happen in self-determination struggle. But the proven and true fact is that IPOB members are not touts and miscreants neither are they jobless people as slandered. Ninety-Nine per cent (99%) of IPOB members are entrepreneurs, doctors, engineers living above average unlike the so-called Nigerian Youths (especially the Northern Youths) where an average Hausa-Fulani man is a beggar or jobless youth. The fact is that IPOB body and members are exercising their right to self-determination struggle through none violence approach to which protest and civil disobedience is legal and forms part of the non-violent moves adopted in the struggle. Many were mocking IPOB body and members, saying "your leader have been silenced along with four others." It seems to them in their thoughts that Kuje Prisons is a gate of no return but little did they know that the potency of none violence is more sophisticated than lethal weapon in a self-determination struggle. Today the occupational Nigeria government did not only release these 4 great leaders (Madubugwu and co, except Nnamdi Kanu whom they are still holding in illegal detention and denying of doing it) but was embarrassed in its own court of law as none of the bogus charges given to these great 4 leaders could stand. Nigeria government was embarrassed both nationally and internationally by great IPOB body through her erudite lawyers. By November, Lieutenant General Buratai (the Chief of Nigeria Army Staff) will stand before the Nigeria High Court of Justice to give account of Nnamdi Kanu's whereabouts and many other Nigerian leaders will soon stand trial in various courts of justice globally for the sake of Biafra question. Such is the potency of none violence to self-determination struggle. Make no mistake about this Biafra is here! The prophecy of our leader Mazi Nnamdi Kanu is about to take place where he says if they fail to give us Biafra, Somalia will be a better place compare to what is awaiting Nigeria in the nearest future. Biafra restoration project is a done deal no man born of a woman can stop it therefore support Biafra upcoming referendum. Power belongs to the people! Referendum is recognised globally even in the Nigeria constitution, it is "Our right as Biafrans to decide either to remain as a slave in Nigeria or to go our separate ways in accordance to the amalgamation documents which stated that after 100 years of cooperate existence any component that feels to leave the contraption is free to do so in good fate". Biafrans decide at the referendum polls!